We’ve spent more than one day in Tirana, Albania — three days, in fact! — and found it to be a very pleasant experience to amble between our coffee shop of choice, several green spaces in downtown area, and a few monuments and notable buildings. 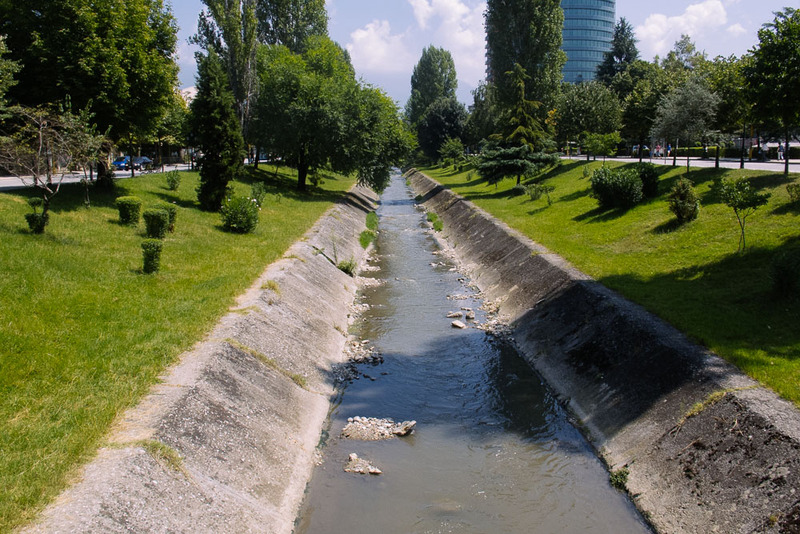 Tirana is not going to win any awards for the most beautiful, or historic, city in the Balkans – in fact until 1920 Tirana was little more than a village and majority of it was built post World War II in ‘socialist ugly’ style. But, there is so much youthful energy and great ambiance in the fashionable boutique cafes and restaurants in Tirana, that we had a great time eating, drinking, and people watching through our three days here. Fill up on excellent coffee at the Mulliri Vjeter café right by the Youth Park. Grab one of the tables outside or right by the window and watch the comings and goings of stylish citizens of the capital city. Another bonus – you can catch up on the day’s news / email since the shop has fast and free wifi. Mulliri Vjeter café in downtown Tirana, Albania. 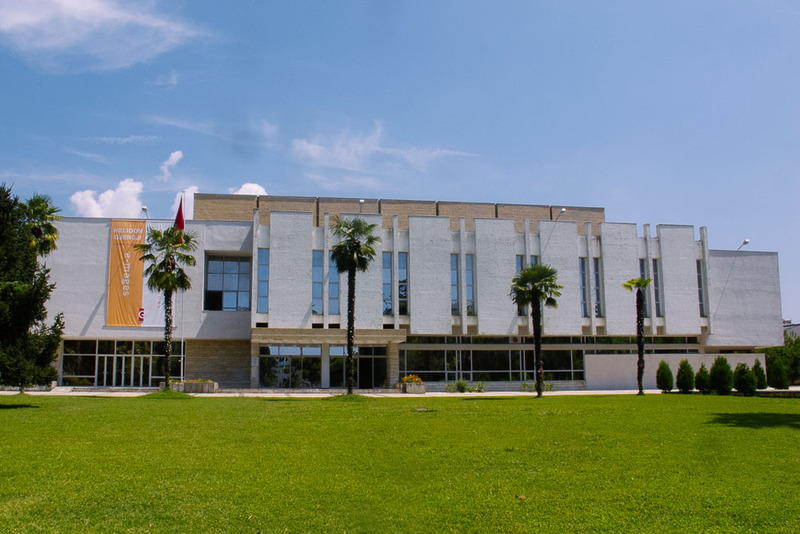 Next stop – Albania’s National Gallery of Figurative Arts – just a 10-minute walk from Mulliri Vjeter. The National Gallery was my favorite landmark in Tirana, given the museum’s most awesome cachet of socialist realist art. Some of the works are accompanied by a short blurb indicating that they were banned under communist regime, and a few details on the fate that the artists suffered as a result of their work. The absurdity of the decisions taken by Albania’s dictator Enver Hoxa and his Communist party is really on stark display here. National Museum of Figurative Arts in Tirana, Albania — a must stop for socialist realist art. 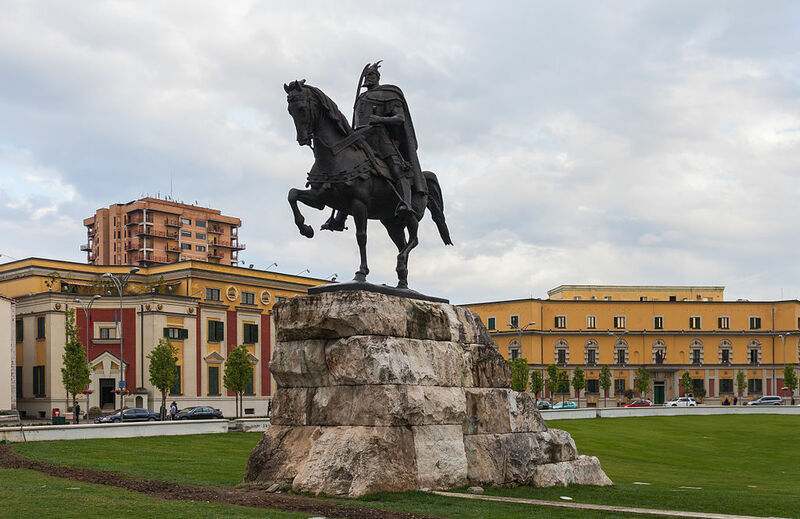 After the museum, backtrack to the city’s main square: Sheshi Skanderbeg and look for the National Theater and Opera building. There is an Opera Café, set up on the veranda. 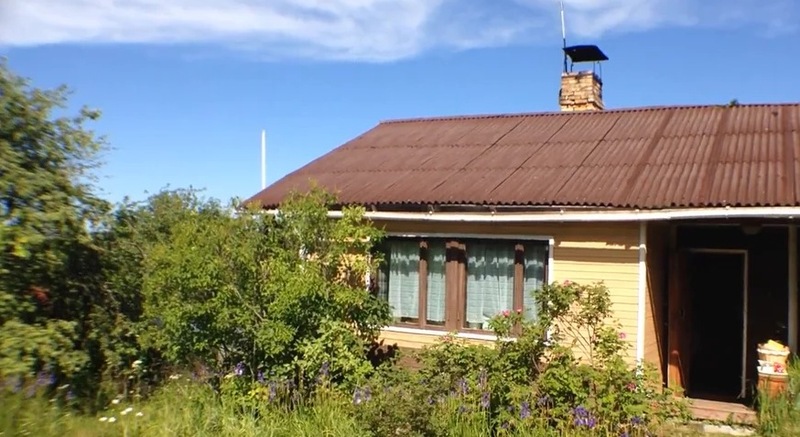 Although a bit overpriced, it does provide an excellent view over the city’s main square. 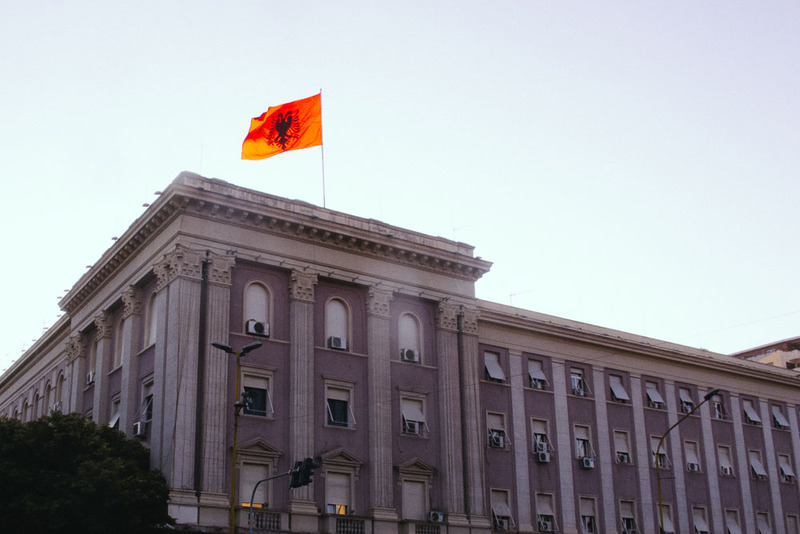 Take in the views of the National History Museum of Albania, the Clock Tower, and of course the statue of Albania’s main national hero, Skanderbeg. An amusing fact – the Clock Tower, originally built in 1822 as a bell tower – was the tallest building of the capital until 1970. After refreshments at the Opera Café, head over to the National History Museum of Albania. 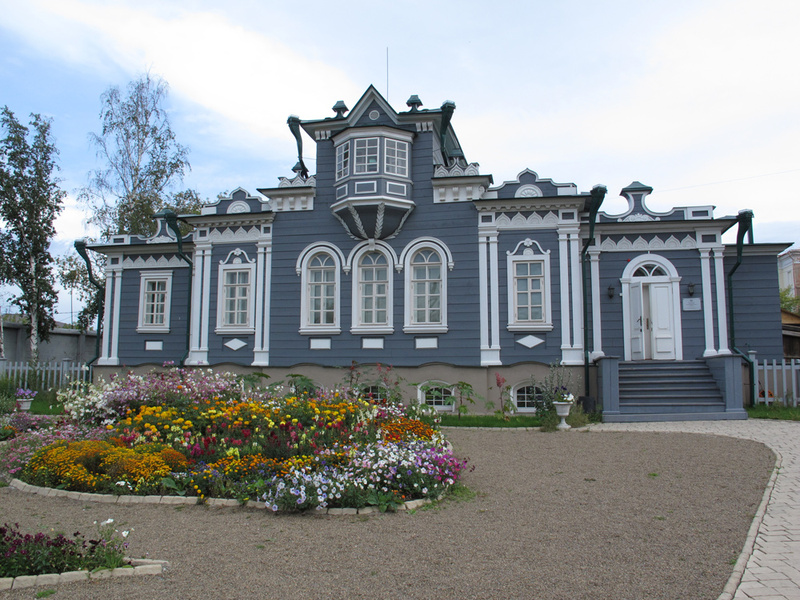 The museum’s range of exhibits is quite extensive –spanning cave age to national struggle that brought down communism in the 1990s. A lot of the signage is only in Albanian, but each room has a detailed plaque in English explaining the most important exhibits. I thought it gave a pretty good background on Albanian history, with many artifacts from Hellenestic, Roman and Ottoman times. Disappointingly English explanations stopped at recent history, and though the exhibit on struggle against communism looked pretty interesting, it was hard to decipher any details. Afterwards, relax in Rinia park, which offers ample green space and opportunities for people watching. Rinia park hosts the Taivani complex (or Taiwan Center) of restaurants, cafes, and reportedly bowling (we didn’t try, but I can imagine that it might be quite an entertaining way to make some local contacts!). Taivani center also has public wifi, which can be quite handy. Lana River nearby the Rinia Park in Tirana, Albania. Finally, a walk over to the Pyramida, a creepy, derelict monument – originally designed as a mausoleum – for the late dictator Enver Hoxha. 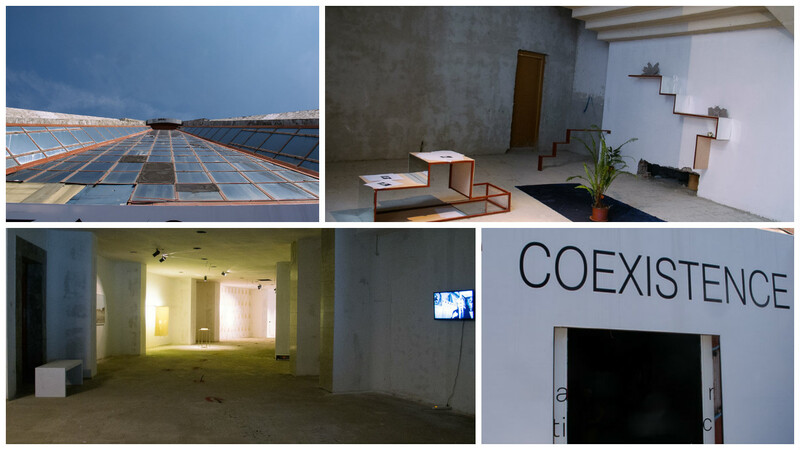 At the time of our visit the space was used for a temporary art exhibit, which was neat. But even without the exhibition, the building is a fascinating and stark reminder of Albania’s recent history. 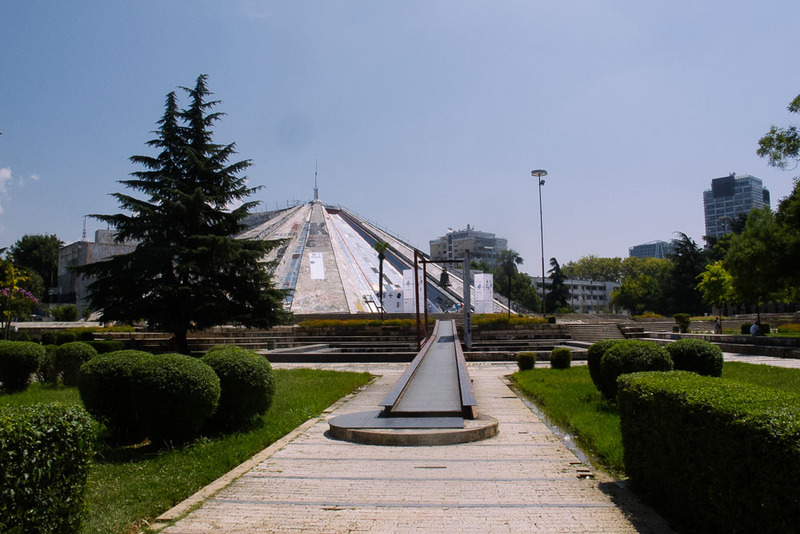 Creepy and fascinating Pyramida – meant to be a mausoleum for Enver Hoxha, turned exhibition space – in Tirana, Albania. For dinner make your way to the area known as Blloku. 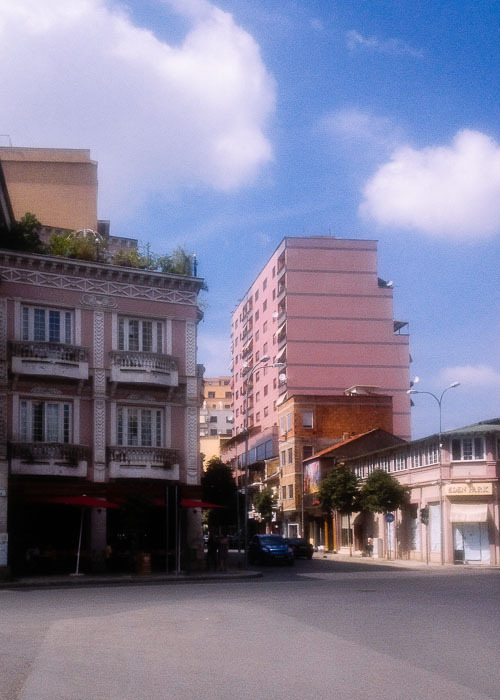 These several blocks feature former villas for Enver Hoxha and his inner circle, which were completely off limits to ordinary Albanians during the communist era (they literary needed a permit to enter this part of the capital), are now host to lively bars, cafes and restaurants. Settle in for a nice evening of drinks, food and of course people watching! 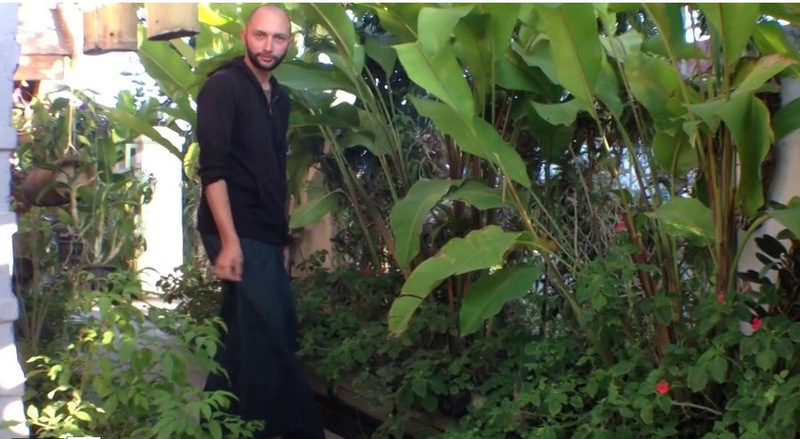 PS: Bonus feature. Tirana’s airport cafe. If you are flying out of Tirana, make sure to go through the check-in procedure and security. 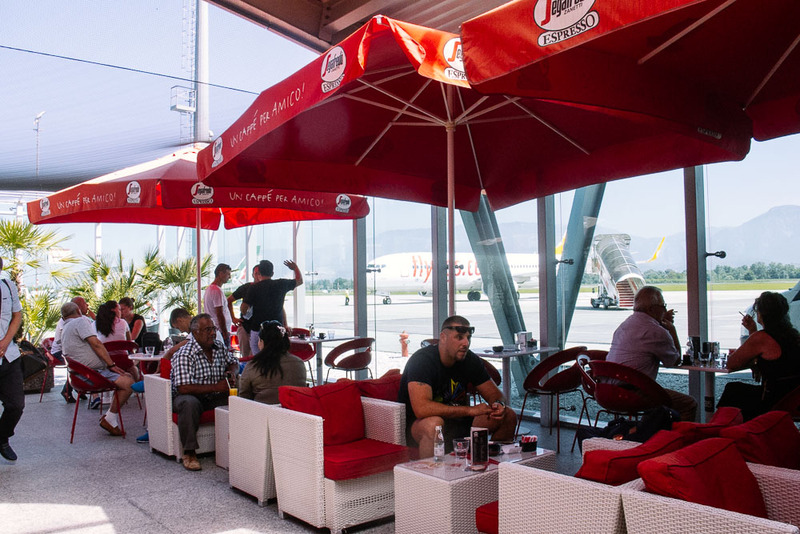 Proceed to the outdoor cafe situated right on the tarmac — you can watch planes take off and land over a beer or espresso, while keeping an eye on the flight screen, all of the gates are just minutes walking distance to the cafe. How neat is that?! Airport Cafe at the Mother Theresa International Airpot in Tirana, Albania.